This volume offers an odyssey through the ideas of the Stoics in three ways: through the historical trajectory of the school itself and its influence; the recovery of the history of Stoic thought; and finally, the ongoing confrontation with Stoicism. The study demonstrates how Stoicism refines philosophical traditions, challenges the imagination, and ultimately defines the kind of life one chooses to lead. Advanced students and specialists will discover a conspectus of developments in this interpretation of the Stoics and new readers will be drawn to its accessibility. 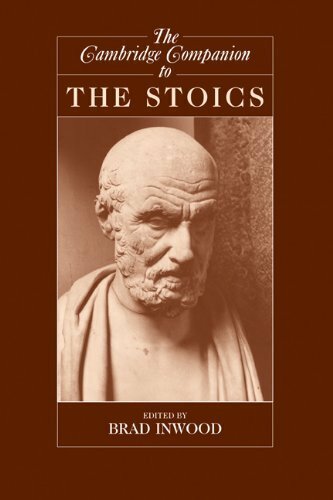 This volume offers an odyssey through the ideas of the Stoics in three ways: through the historical trajectory of the school itself and its influence; through the recovery of the history of Stoic thought; through the ongoing confrontation with Stoicism, showing how it refines philosophical traditions, challenges the imagination, and ultimately defines the kind of life one chooses to lead.New readers will find this the most accessible guide to the Stoics currently available. Advanced students and specialists will find a conspectus of developments in the interpretation of the Stoics.